Last week in this Newsletter we revisited the 2009 Radar Circles in Australia, which the Zetas explained were particle clumping along magnetic field lines. These patterns also appeared in 2014 near Mexico City, which subsequently had significant earthquakes in 2017. Clearly rock stress and the consequent electronic screech have a hand in these Radar Circles. Radar, being close in nature to electromagnetic particle flows, causes this temporary clumping. Now we have yet another drama caused by Microwaves. Another huge anomaly has been caught on the MIMIC Maps. This anomaly is a little different from the waves a have caught in the past. This is once again connected to the mysterious Antarctica. On the 4th of July I put out a video covering a strange line anomaly in the Southern Atlantic Ocean. Now you can see that there is an even stranger pattern that has popped up between South America and Antarctica. Again, Antarctica is key to this mystery. Massive Energy Pulse above both Atlantic and Pacific Oceans! 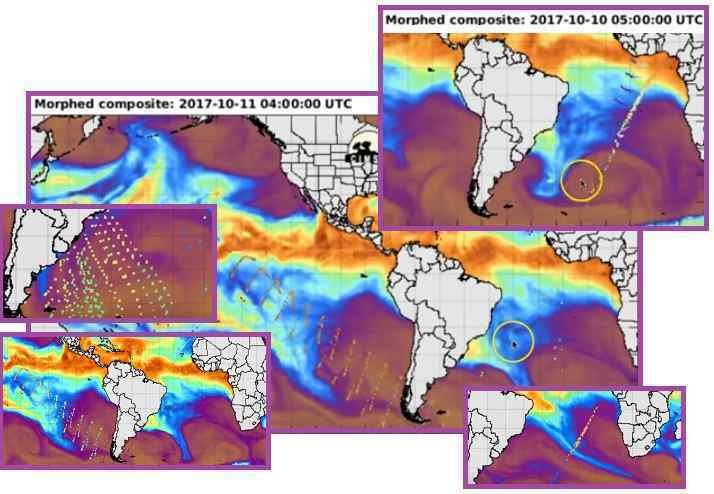 Large atmospheric energy anomalies are appearing over both oceans at nearly the same time, covering large areas of the South Atlantic and South Pacific. ZetaTalk Explanation 1/25/2010: This is very common in particle behavior, as we have explained, the desire for similar particles to clump or group. In this case, the dearth of particles in between the spokes is due to these particles in those locations being swept into a nearby spoke's clumping. It is an accumulation of these particles, normally swept along with magnetons into the magnetic S Pole of Earth, that are clumping. Microwave, like Radar, is a particle that runs with Electrons and Magnetons, thus can incite the clumping when pressed rock does an electronic screech. The MIMIC system models water vapor in the air, using microwave beamed from satellites. The globe turns under these satellites, so the rotation of the globe must be considered when analyzing the Microwave clumping patterns. 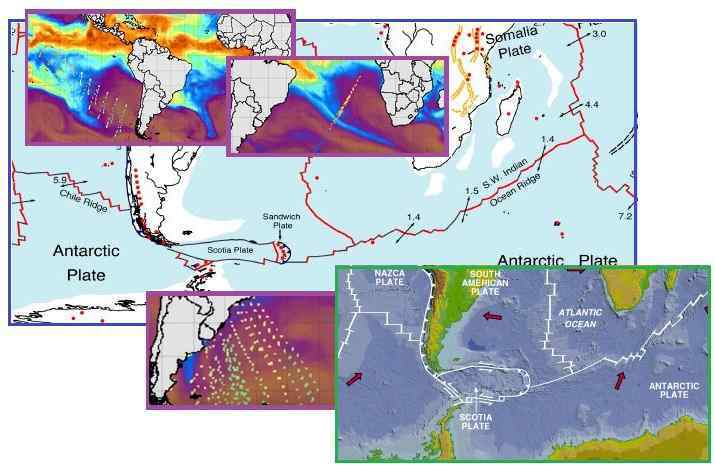 But the geological focus is clear – Nigeria, the Scotia Plate, and the Antarctic Plate to the west of the tip of S America. MIMIC-TPW2 is an experimental global product of total precipitable water (TPW), using morphological compositing of the MIRS retrieval from several available operational microwave-frequency sensors. Microwaves are a form of electromagnetic radiation with wavelengths ranging from one meter to one millimeter. Microwaves are extremely widely used in modern technology. They are used for point-to-point communication links, wireless networks, microwave radio relay networks, radar, satellite and spacecraft communication, medical diathermy and cancer treatment, remote sensing, radio astronomy, particle accelerators, spectroscopy, industrial heating, collision avoidance systems, garage door openers and keyless entry systems, and for cooking food in microwave ovens. What are the rock compression stress points involved in this latest clumping drama? Nigeria is at the bend point in Africa. Where the African Roll has the top part of Africa toppling to the East, pulling the Rift Valley apart and ripping along the Mediterranean, Nigeria is a pinch point. It has thus had excessive quakes there, unusual for Africa. 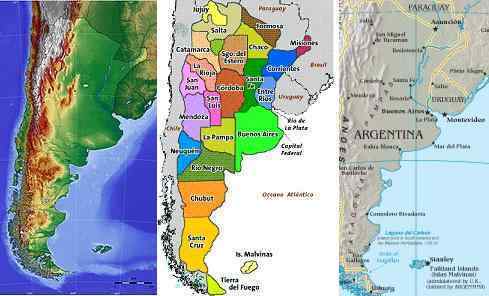 Buenos Aires is ripping open, forming a bay between Argentina and Uruguay, and as the S America roll progresses the rock stress during this ripping becomes extreme. ZetaTalk Explanation 1/7/2017: That Nigeria is having increased earthquakes should not be surprising. The African Plate is moving, rolling its top part to the East while it remains firmly footed at the tip at the Antarctica Plate. Residing on a jolting plate is not a quiet ride. While the top part of the plate crunches along through the Mediterranean, and the Red Sea pulls open, and the African rift valley droops, falling further toward the now unsupported side of the plate at the Indian Ocean, the western side of Africa also has issues. Nigeria has thin crust, where the rivers emerge to drain, so is just noticing this process earlier than most. ZetaTalk Prediction 5/4/2011: Argentina, at Buenos Aires, will experience stretching as the top part of S America is pulled to the west while the tip of S America is nailed firmly at the Antarctic Plate. The bay at Buenos Aires will rip open. The Antarctic Plate is not perfectly round, but it is free to move as the 7 of 10 Plate Movements proceed. The Antarctic Plate humps up under the Nazca Plate so that in attempting to roll in a clockwise direction this part of the Antarctic Plate pushes against the tip of S America. During the Scripted Drama that the plate shapes enforce, the Antarctic is squeezed at the Pacific side, forcing it to move into the spreading Atlantic. This drama was covered in the last Newsletter as the Pacific at Hawaii compressed and a magnitude 6.7 near S Africa simultaneously occurred. ZetaTalk Prediction 2/15/1999: The Antarctic plate finds the side abutting the Pacific under pressure, as the plates due to fold or crumble or subduct in the Pacific begin to do this. This in effect is forcing the Antarctic plate to fold itself, like a fan, and it resists this pressure to fold. The tendency is rather for the Antarctic plate to break away from these bordering plates, so it then becomes free to move. Likewise, along the Atlantic, the spreading plates in the Atlantic are asking the Antarctic plate to rip apart, which it resists, being a very solid plate. The point that gives, the weak point, is the border between the Antarctic plate and those in the Atlantic, as these are already weakened points. Thus, these weak points separate, the Atlantic plates going their way, the Antarctic staying in place. The Antarctic plate is now free on all sides! The overlapping and compressing plates on the Pacific side represent pressure and push. The separating and spreading plates on the Atlantic side represent an opening, so the Antarctic plate moves in that direction. The pace of the 7 of 10 Plate Movements has clearly picked up. We now have Radar Circles and Microwave mapping to assist in seeing where the rock stress is greatest, and thus where great quakes are likely to emerge. 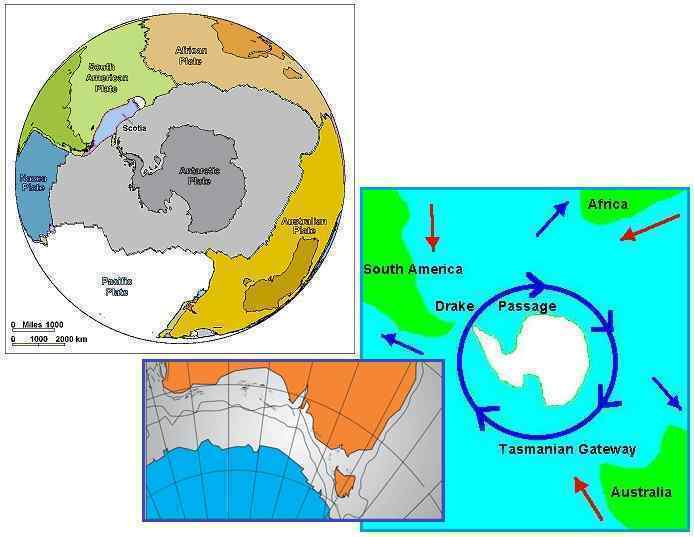 Ultimately, per the Zetas, the Pole Shift will present mankind with new land emerging between the tip of S America and the tip of S Africa, where the Antarctic Plate pushes up into the void opened by the spreading Atlantic. ZetaTalk Analysis 10/31/2017: MIMIC shows weather patterns by sending microwave through the atmosphere from satellites aloft. This is just one of dozens of commercial uses for microwave, which includes radio and satellite communications. Microwave particles are close to electromagnetic particles, thus have an affinity for these particles flows. Just as Radar Circles are particle clumping, occurring particularly where electro-magnetic particles are intense, these microwaves are causing particle clumping. What would cause particle clumping in a straight line from Nigeria in Africa, thence through the highly magnetized Atlantic Rift to touch the Scotia Plate? 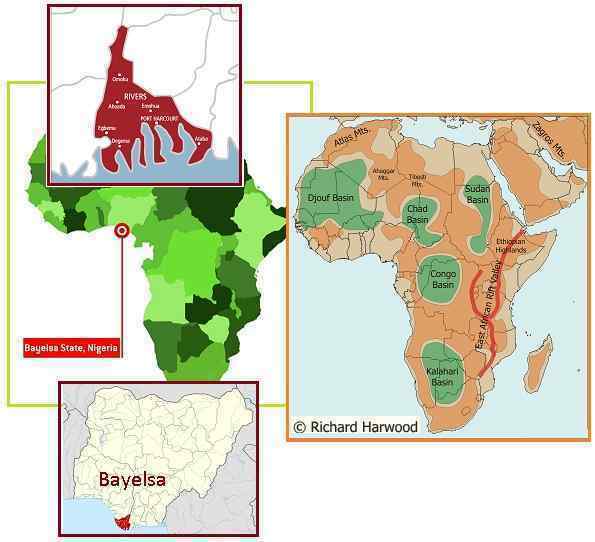 Nigeria is under plate stress, as the African Plate bends there, and the microwave clumps are essentially arching to the Scotia Plate. These lines also stream from the southern coast of Brazil and the coast of Argentina to the Scotia Plate. The S American Roll is pulling the S American Plate apart at Buenos Aires in Argentina, thus plate stress there, again with arching and thus clumping along the electromagnetic lines. And lines fanning up from the tip of S America into the Pacific likewise emanate from the location where the Scotia Plate attaches to the S American Plate because the Antarctica Plate is moving due to pressure from a compressing Pacific. The Antarctic Plate is not round, so bumps against the tip of S America and thus the plate stress in this location. Arching lines go from the Antarctic Plate as it presses on the Chile Ridge along the border of the Nazca Plate, and float out into the Pacific to dissipate as the globe turns toward the East under the MIMIC satellite. The fires consuming northern California wine country are fanned by Diablo Winds, bolstered by the daily Earth wobble creating weather extremes. In southern California, the dry winds coming from inland are known as the Santa Anna Winds. Northern California normally has fog laden winds coming off the Pacific, but as can be seen in the weather maps, the wind is blowing outbound toward the Pacific. 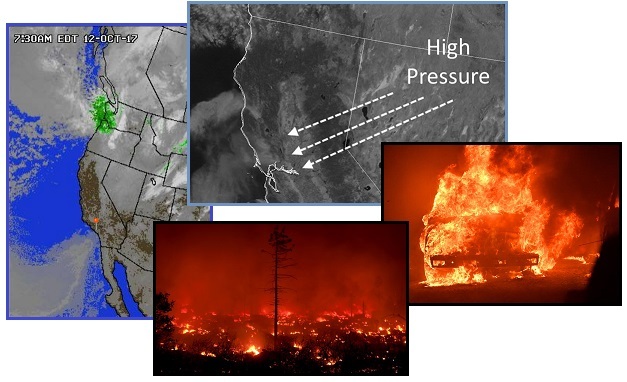 Diablo Winds are known for almost hurricane force wind speed and extreme dryness, caused by high pressure areas stationed over the high deserts to the East of California. More than 15,000 acres of land, including vineyards in more than eight counties of northern California were engulfed by the flames of several wildfires that broke out this week. 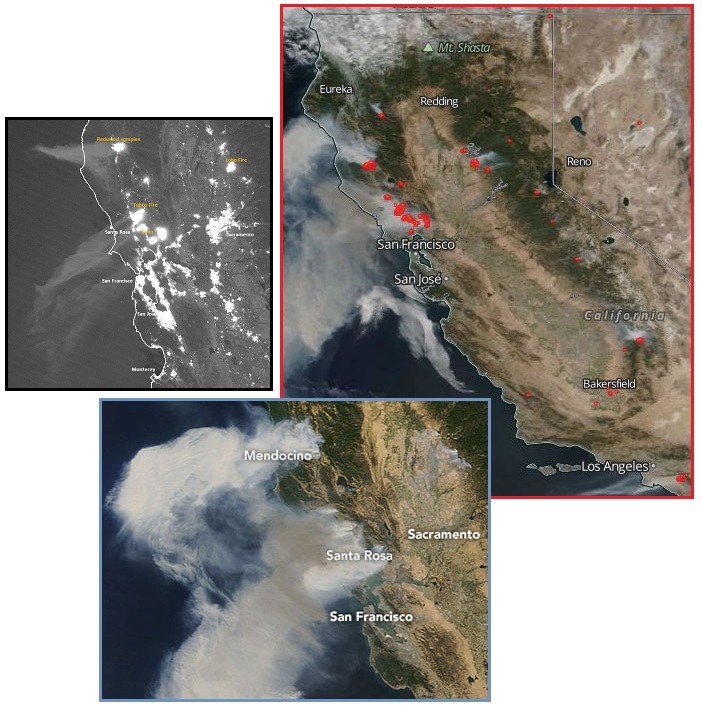 The ESA captured this satellite image of smoke billowing from the wildfires and NASA’s Aqua Satellite captured the hundreds of burnt acres around Napa Valley on October 10. The Diablo Winds have been a driving force with these fires. If an area of high pressure is situated over the Great Basin, winds blow from the central Great Basin toward the Pacific coast. The winds are forced over and descend down the elevated terrain and mountains on the western edge of the basin and in California. These winds can reach tropical storm (39 mph) to hurricane force (74 mph). Thought the Diablo Winds do not seem in a hurry to go away, this will not be the situation after the pending Pole Shift, where the deserts of the southwest US will bloom due to the new direction of the prevailing westerlies. Per the Zetas, an analysis of the new geography will pull water off the flooded Canadian lands, depositing this precipitation on the high deserts. In fact, for the first 25 years after the Pole Shift, the world is more likely to experience continuous drizzle - ideal conditions for harvesting the fog for water. This requires no electricity or moving parts. 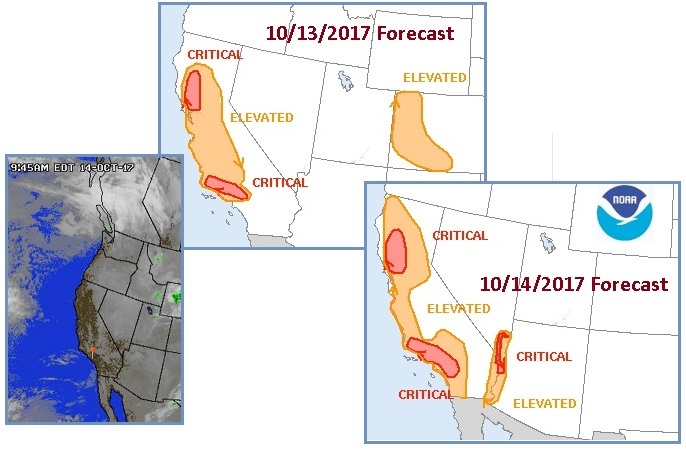 ZetaTalk Prediction 7/15/2002: The Americas will find the air masses curling around from the new equator coming across the massively flooded Canadian lands, the flooded Mississippi Valley, and the flooded Amazon basin, so that ample rainfall will drop on formerly desert areas of Arizona and Mexico. What is now the west coast of the Americas, on both north and south continents, will find the curling air streams coming off the Pacific dropping their moisture as today, on the coastlines. Thus, the Americas are not expected to have desert areas in the Aftertime. ZetaTalk Prediction 11/30/2002: Drizzle occurs most certainly during the months following the shift, and thereafter depending upon location. The atmosphere is low, clouds low, as the atmosphere was stripped away during the shift and must rebuild. Thus, clouds being low, is like continuous fog, and fog settles out in the form of rain, or drizzle, upon any slight temperature change. This water can be used for drinking, and harvesting the fog is a recommended way of gaining drinking water. 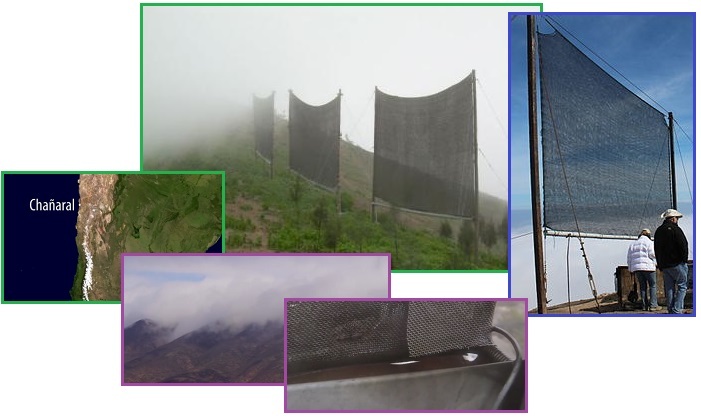 Fog harvests are done by placing material that causes condensation, which then drips down the material, perhaps a sheet, into buckets. Continuous drizzle has been predicted for the world for some 25 years. Regardless of how many wild fires the globe endures prior to the Pole Shift, the forests will regrow. They will spring from the seed, which for some trees needs a forest fire to activate them, breaking open the nut. Seedlings require less room, less sunlight, and enriched by all the ashes from the forest fires, will spring to life, renewing the Earth. ZetaTalk Prediction 7/15/1995: Trees will in the main die, as they do not have stores of energy that can be tapped, and rely on annual sunlight to maintain those portions of themselves that are live. Then how do trees survive, shift after shift? Seedlings, in fact, survive better, and many seeds do not sprout until years later. It only takes a few sprouting seeds to perpetrate the species. Seedlings are tiny compared to the giant parent, and thus can move along with fewer nutrients. In fact, it is the seedling trees, growing a few years after the shift, that should be nurtured, not the dying parents. Just as after a forest fire, these are the trees of the future! Last covered in Issue 567 on August 13 of this year, the Prong led announcement seemed on life support. 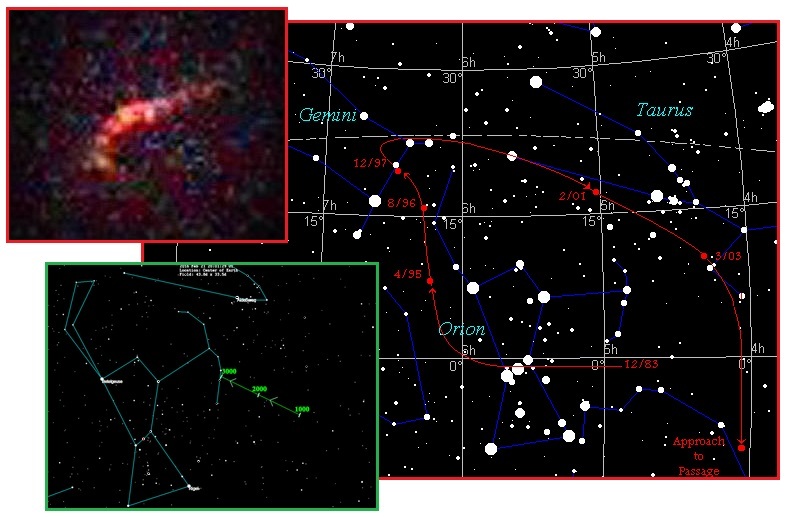 Prong 1 pointed to what was being called Planet 9, some 20 Sun-Pluto distances out in the direction of the constellation Orion. In that the Zetas had always described the Sun’s dark binary twin to be 18.74 Sun-Pluto distances away in that direction, this was certainly an example of Zetas Right Again. Prong 2 was to explain that probes such as the Hubble and WISE and the Kepler probe were looking too far out. Lund University provided their theory that our Sun might be a binary, with a planet caught between them. In that this was the Zeta explanation for the odd 3,600 year orbit of Nibiru from the start, its sling orbit past both suns, this is certainly yet another example of Zetas Right Again. In early July, 2016 Prong 3 was born, its mission an expanded Cast of Characters including the infra-red Dark Energy Survey hosted by the ESO in Chile which would be looking at past scans. This would include the 2003 sightings of Nibiru inbound found at the Zeta coordinates. The ingredients were all there - 1983 discovery via infrared, path of Nibiru from 1983 to 2003 on the sky scans, and the current location of Nibiru. Zetas Right Again! By 2017 the Prong approach had clearly stalled, but a creeping admission of Nibiru began in the media. It was as though the astronomical community had done a time warp to return to 1983, when NASA and JPL were looking in the direction of Orion for Nemesis, a strange gravity pull that was warping the orbits of the outer planets. Now NASA is making admissions! Yes, a gravity tug is there! 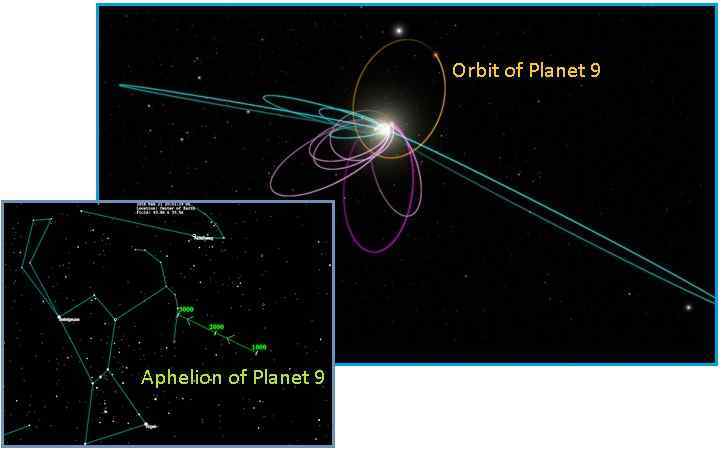 The space agency highlights five different lines of evidence pointing to the existence of the mysterious world, and says that imagining that Planet Nine does not exist generates more problems than you solve. The objects all had elliptical orbits that point in the same direction and are tilted 30 degrees 'downward'. It might be lingering bashfully on the icy outer edges of our solar system, hiding in the dark, but subtly pulling strings behind the scenes: stretching out the orbits of distant bodies, perhaps even tilting the entire solar system to one side. If a planet is there, it's extremely distant and will stay that way (with no chance - in case you're wondering - of ever colliding with Earth, or bringing "days of darkness"). 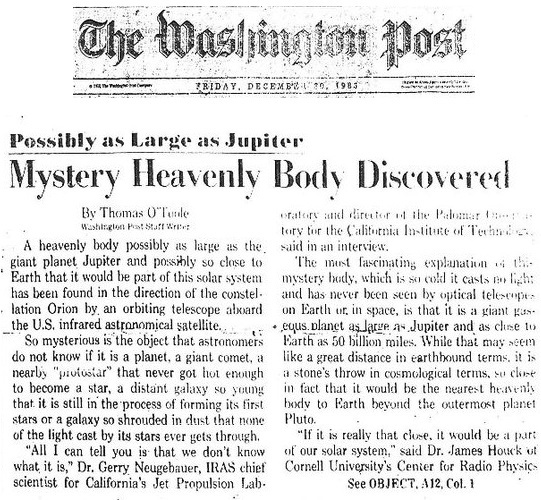 Dr Robert Harrington, a top astronomer at the US Naval Observatory, had only just revealed his findings when he suddenly died in 1993. When he died six months later the official cause of death was cancer, but theorists reject this. Then there is Australian astrophysicist Dr Rodney Marks who is said to have died in mysterious circumstances in the South Pole in 2000. It is alleged by some that Dr Marks was about to publish new findings about the planet when he returned from his research station in Antarctica. The southern hemisphere, particularly around the South Pole, is said to be the best place to see Nibiru. What is NASA up to? They have been denying the obvious for 35 years, but now have decided to admit the perturbations are real? They have been attacking Nancy Lieder, singling her out specifically by name in their NASA hangouts and in prior media interviews by falsely claiming ZetaTalk had stated the passage would occur on December 21, 2012. Suddenly they are belly up making admissions about perturbations out toward the constellation Orion, and that Nemesis/Nibiru/Planet X might exist? The Zetas explain. ZetaTalk Comment 10/31/2017: How to save face when the truth is admitted? This is NASA’s dilemma. They are suddenly moving from their firm stance that a gravity tug out toward the constellation Orion was fantasy, that any perturbations known by the ancients were just a math error, and that no one should listen to Nancy Lieder. Caught in a lie, as Disclose TV documented, they attempted to appear part of the discovery team by offering their worthless WISE images, which were of course looking too far out to find evidence of Nibiru, past or present. NASA is coming to the party late, but hoping that the public, and the friendly media, do not note this. Since this is scarce cover for the naked truth, an alternative explanation is being floated by the media – a cover-up has been in place all along. This the public will believe. Seeing that assassinations have occurred, those at NASA standing in front of the mics and making firm denials might be forgiven, or so they hope. Thus as the truth about Nibiru emerges - the obvious body standing Earth side just within the orbit of Venus and accompanied by a vast debris and moon ridden tail – expect talk in the media about cover-up assassinations to likewise increase.